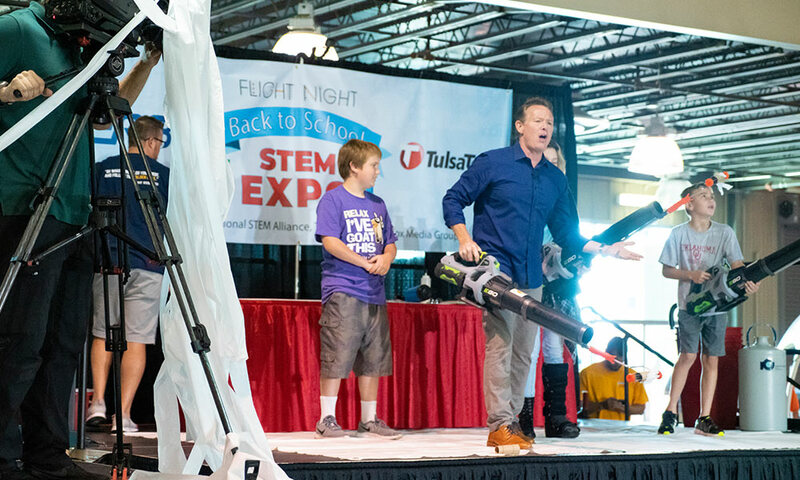 Tulsa, Oklahoma – The crew from television’s DIY Sci hit the road to visit Tulsa, Oklahoma for the Flight Night Back to School STEM Expo. 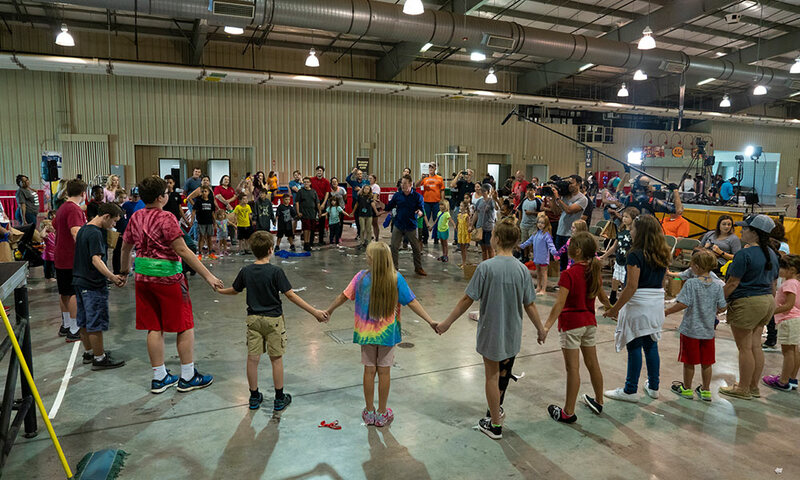 The one-day event was sponsored by the Tulsa Regional STEM Alliance in cooperation with the Tulsa State Fair and Cox Media Group. This event was an expansion of the former STEM Exploratorium and was part county fair, part science fair, part job fair and all fun. The event featured more than 50 local businesses, nonprofits and organizations in a series of hands-on, curiosity-driven activities and experiences. “Don’t worry if you missed this event because we’re featuring it on an upcoming episode of DIY Sci,” said Steve Bronstein, DIY Sci producer. 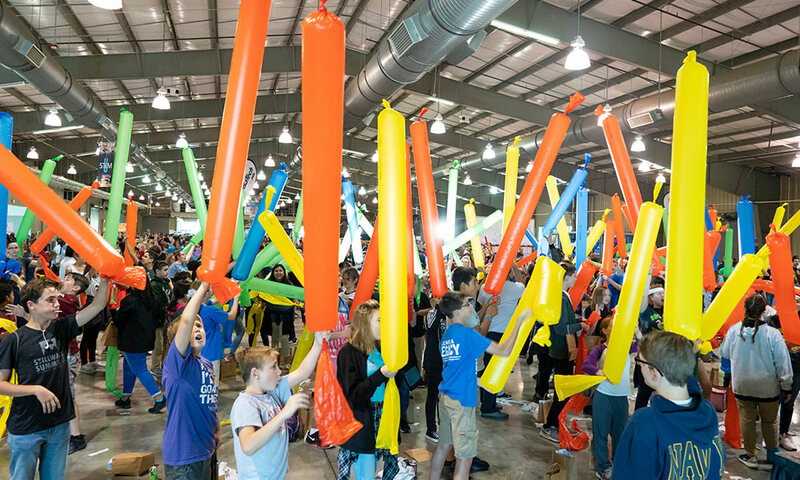 “Steve Spangler will take you on a behind-the-science look at what it takes to create an amazing event like this. 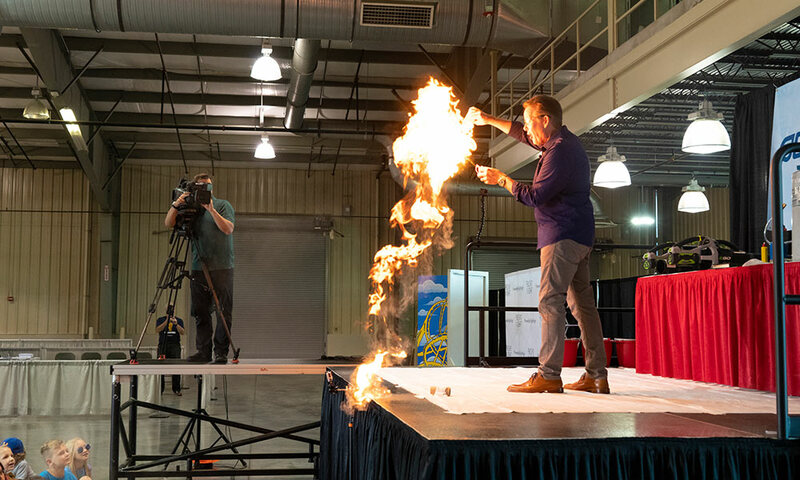 You’ll even get a chance to try a few of the experiments at home.” Emily Calandrelli, host of Xploration Outer Space, teamed up with Steve Spangler to share a special experiment that demonstrates Newton’s Third Law of Motion… with just a little fire! Season 3 of the Emmy nominated series DIY Sci will air on FOX affiliates across the country in September 2019. Check out the FLICKR Gallery for more photos from the event.